We’ll give you 5€ free credit for every friend you refer to Vectone Mobile. They get great offers, you get free credit. Everybody wins. For every friend you refer to Vectone Mobile who tops up their new Vectone SIM card with 10€ or more, you’ll receive 5€ referral bonus. The more people you refer the more free credit you receive. Start earning your referral bonus today! Additionally, you’ll also be able to make free calls to Vectone Mobile users. Send an email invite to your friend. 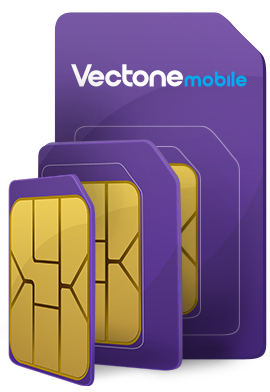 Enter your friend’s address and send out their free Vectone Mobile SIM card. Distribute free SIM cards to your contacts. once your friend has topped up with 10€ or more. To take advantage of the offer you must accept the Offer Terms and Conditions. This offer is only for France PAYG Vectone Mobile customers. We won’t pay any bonus that the results from repeat transactions from the same individuals and/or fraudulent transactions. Reward is subject to purchase of qualifying top up from genuine individual customers only. Purchases made on credit/debit cards that the have previously been used won’t qualify. Vectone reserves the right to terminate or change this offer and the conditions at any time or to cancel your account in case of repeat/fraudulent transactions.